Glencore, which is also a major producer of copper and zinc in Australia, said "controlled operations" were continuing at its Queensland copper and zinc businesses in Townsville, Mount Isa and Cloncurry. Aluminium has powered higher in recent weeks, and despite a bearish outlook for base metals, could extend its advance amid a rapidly accelerating short-covering rally. On the London Metal Exchange on Monday (Tuesday AEDT), aluminium fell 2.7 per cent to $US1867 a tonne after the United States lifted sanctions against Russia's Rusal, and China reported weaker industrial profits for a second month. Predicting the rise/fall of commodities may be a "mugs game", but then so too is predicting the rise/fall of stocks/markets but we still do it. The markets are up and down like a bride's nightgown, as my dad used to say, bitcoin is in the toilet, and tech stocks, once as steady as the banks, are as unreliable as an old Apple computer. If youâ€™re reluctant to dip your toe back into the stock market, youâ€™re not alone. â€˜The Hunt for Red Octoberâ€™ was a great movie but nobody thought â€˜Red Octoberâ€™ would actually happen. In October it did. Anyone that was invested saw their equities turn as red as a Russian submarine commander. The S&P 500 churned. When the calendar mercifully turned to November, the benchmark US stock index had fallen 8.5%, the worst month since February 2009 and the ugliest October since the collapse of Lehman Brothers in 2008. The Dow and the Nasdaq were equally pummeled. A recent post-mortem pointed the finger at retail bearish sentiment, the partial US government shutdown, and a weakening Chinese economy. Despite improvement so far in 2019, some equity strategists are tempering expectations, thinking that companiesâ€™ soon-to-be-reported fourth-quarter-earnings and 2019 outlooks will be anemic. So where is a smart investor, cash account flush after having sold all their 2018 underperformers, to park their capital in 2019? In a word: commodities. Forget about trendy cryptocurrencies, blockchain and marijuana. We like investing in tangible things that create real jobs, real money and real wealth.. In a famous 1980 wager, Julian Simon bet an author of The Population Bomb, Stanford University's Paul Ehrlich, that resources would actually become more plentiful, not less, as the population grew. ....[In a] paper published last month by the ...Cato Institute, Gale Pooley and Marian Tupy extend the results of the bet a quarter-century to the latest data available, while offering a more sophisticated tool for measuring what they call the Simon Abundance Index. In brief, they calculate the cost of commodities by how much time it takes a typical global worker to earn enough money to buy them. The index determines prosperity or shortage at ground level: in the lived experiences of actual human beings. Measured by global average hourly income, the price of a representative basket of 50 key commodities â€“ food, energy, minerals and so forth â€“ fell by nearly two-thirds between when the bet was made and 2017. Measured by the time it takes to buy the basket, the earth's resources became 380 per cent more abundant as the human population grew by 69 per cent. Ã¢â‚¬Å“This week I will sign a letter of intent with my counterpart ... on critical minerals,Ã¢â‚¬Â resources minister Matt Canavan said at a mining industry event in Melbourne. Ã¢â‚¬Å“(This) will mean Geoscience Australia and the United States Geological Survey (USGS) will work closely on exploration, extraction, processing and research and development,Ã¢â‚¬Â he added, referring to the arms of the respective governments that handle minerals exploration. 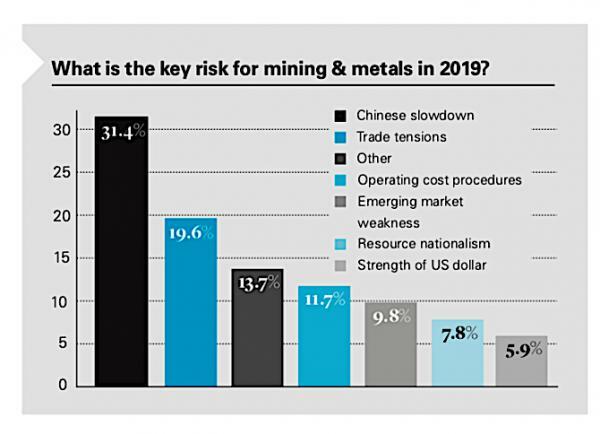 Ã¢â‚¬Å“For 14 of those 35 critical minerals, we are in the top five (holders) of world reserves, so they are the ones weÃ¢â‚¬â„¢d like to focus on,Ã¢â‚¬Â he told press at the Melbourne Mining Club event. That list of minerals includes lithium used in batteries, along with rare earths such as neodymium, used in industrial magnets, and gallium, used to make semiconductors. It also includes bauxite and alumina, which make aluminum.